Is Heat or Ice Better for a Back Injury? Back Injury – Heat or Ice? 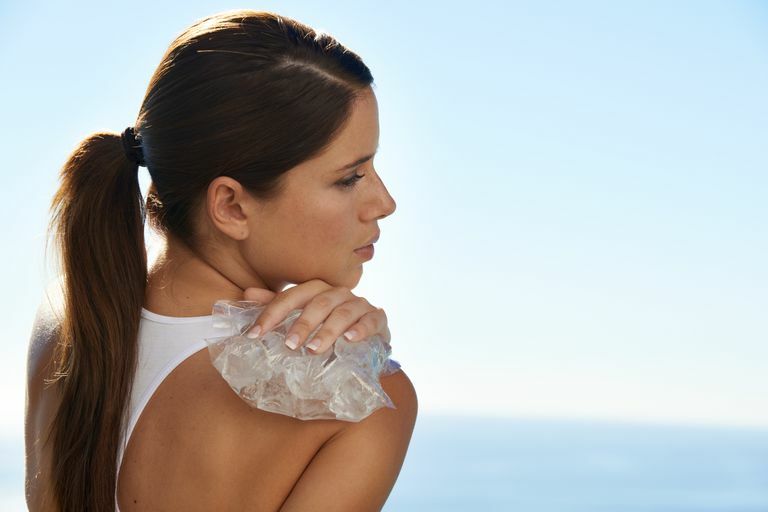 Considered a "temperature treatment," ice is usually recommended for acute injuries, while heat tends to help out more with chronic problems involving muscle spasm. But is ice really better for acute back injury, and just how does it do its job? Ice works by narrowing the space inside the blood vessels, which limits blood flow and decreases the metabolic requirements of your soft tissues. The limited blood flow also reduces the number of irritating chemicals that are delivered to the injury site. While these chemicals are a natural and useful response to inflammation, they must be kept in check to avoid swelling, and excessive formation of scar tissue at the site of your back or neck injury. Ice also acts as an anesthetic to reduce the pain of injury. So What Do You Do After a Back Injury? For back strain, the rule of thumb is ice (and aspirin) for the first 48 to 72 hours. Heat increases the inflammation, and may not be a good idea at first (during the inflammatory phase of the injury.) After those first few days, most experts recommend the use of either ice or heat, according to your preference. While researchers continue to look into the best ways to treat an acute injury, most doctors still recommend ice as the first line of defense to their back injured patients. A 2011 review of studies published in the British Medical Journal Clinical Evidence evaluated 20 different categories of interventions (i.e., treatment and care regimes) to learn about their safety and effectiveness. Treatments ranged from over the counter pain medications such as NSAIDs, to acupuncture, to McKenzie exercises (as well as other types of back exercises) and of course, temperature treatments. What are the effects of oral drug treatments for acute low back pain? What are the effects of local injections for acute low back pain? What are the effects of non-drug treatments for acute low back pain? As far as temperature studies go, the review found moderate quality evidence that using a heat wrap 5 days after the injury may relieve pain. Just the same, the authors cited that overall they did not find enough evidence to judge the effectiveness of any type of temperature treatment. And, 2006 Cochrane review entitled, "A Cochrane review of superficial heat or cold for low back pain," found moderate evidence in a few studies for heat wrap therapy as a way to reduce pain and disability in the short term. This was true for people who were in both acute and sub-acute stages of the injury. The researchers also found that adding exercise further reduced pain and improved functioning in study participants. Similar to the BMJ review discussed above, the Cochrane authors say that there's not enough evidence to evaluate the effects of cold for low back pain and conflicting evidence for any differences between heat and cold for low back pain. So for now, and into the foreseeable future, this decision is likely best made by you, the person with the back pain. Which makes your back feel better - heat or ice? French SD1, Cameron M, Walker BF, Reggars JW, Esterman AJ. A Cochrane review of superficial heat or cold for low back pain. Spine (Phila Pa 1976). 2006 Apr 20;31(9):998-1006. McIntosh, G., Hall, H. Low back pain (acute). BMJ Clin Evid. 2011.